On Thursday evening 29 November 2012, as everyone in these parts knows, Rutgers battles Louisville in an epic struggle for an outright Big East football championship title. 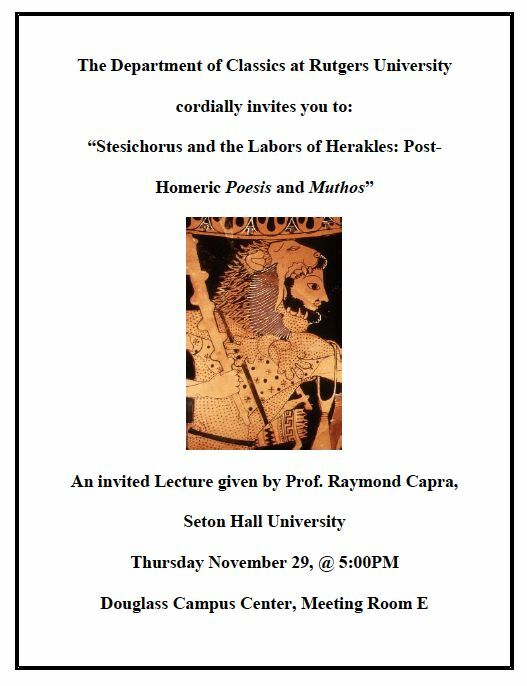 So it seems particularly apt that before the game the Rutgers Classics Graduate Student Association is sponsoring a lecture on the archetype of all such mythic tasks. Capra holds degrees from UC Santa Barbara (BA), University of North Carolina-Chapel Hill (MA) and Fordham (PhD), and has taught at Seton Hall in its Department of Classical Studies since 2006. 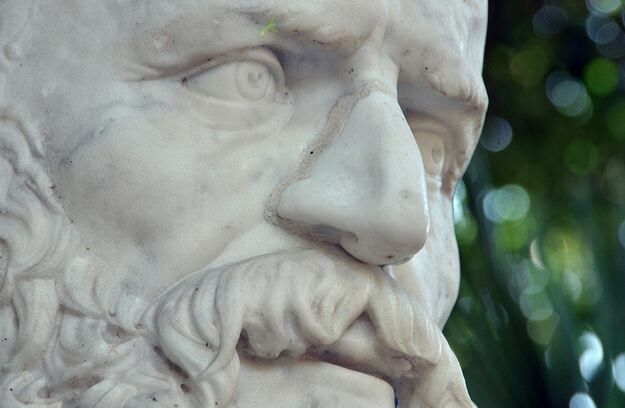 Professor Capra’s primary research interests focus upon epic and lyric poetry. 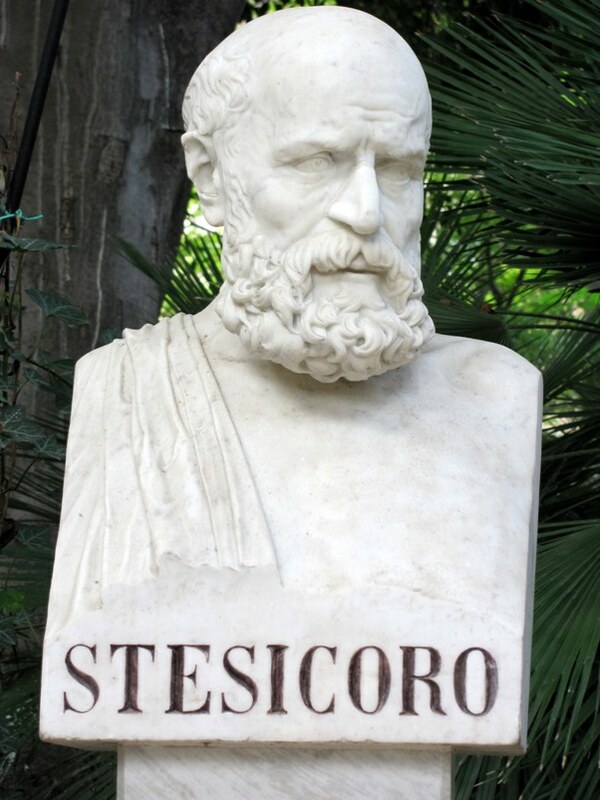 He is particularly interested in the reception and revaluation of the Homeric tradition in western poets such as Stesichorus and Ibycus. 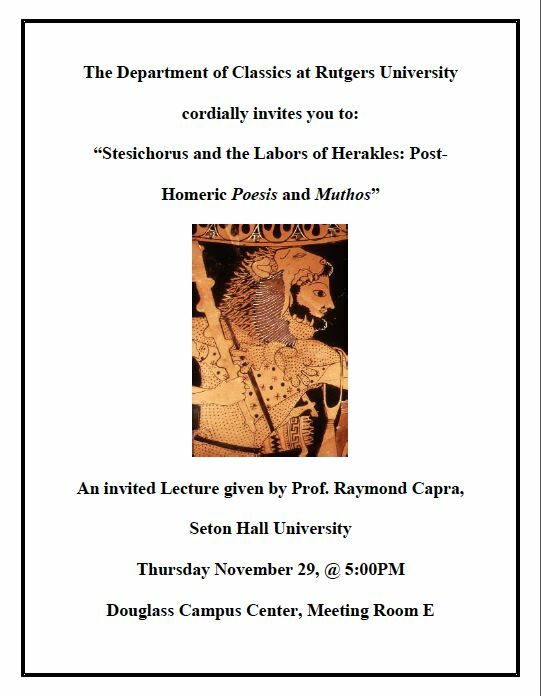 In addition, Professor Capra has investigated the role of the poet and the craft of poetry as an agent in the formation of cultural identity from Homer to Dante. It looks like Thursday 29 November will be quite a night! We look forward to seeing you at the lecture, and beyond. RU Classics graduate students Scott Barnard and Nicole Freeto organized the event for the Classics GSA. You can view a list of some forthcoming GSA-sponsored lectures (through April 2013) here.